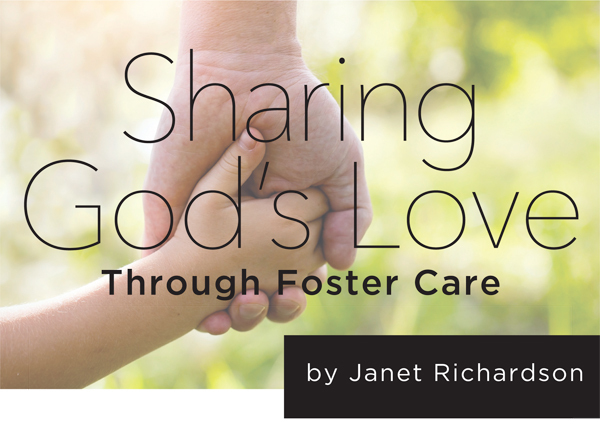 Excerpted from the May/June 2016 issue of Christian Woman Magazine, this article discusses one family’s journey to becoming a foster family. Our fostering and adoption adventure started when our daughter came to ask for a baby sister. We answered a definite “No.” We were homeschooling our children and maxed out in the areas of time and energy, and well, three just seemed like the right number. Our determined daughter quickly suggested adoption. Her response to our second “no” was that she would pray about it and informed us she already had her sister’s name picked out. Fast forward seven years. Our oldest son had graduated from college, our second son was attending college, and our daughter was finishing high school and preparing to leave for college. Because we had unequivocally enjoyed the relationships with our children, we couldn’t imagine having an empty nest. That is when we signed up for STARS (Specialized Training, Assessment, Resources & Support), which is required for families pursuing foster care or adoption of children in the custody of the state of Missouri, as well as most other states. I imagine you can guess the rest of this story. CW knows its readers are often on the go, and feeding your family delicious, healthy meals sometimes falls victim to the homework/dance lesson/soccer practice cycle. 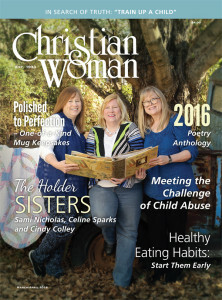 The “A Matter of Taste” column in the March/April issue of Christian Woman features recipes that provide quick, healthier alternatives to the drive-through. Try our fun Pizza Quesadilla recipe and let us know what you think. 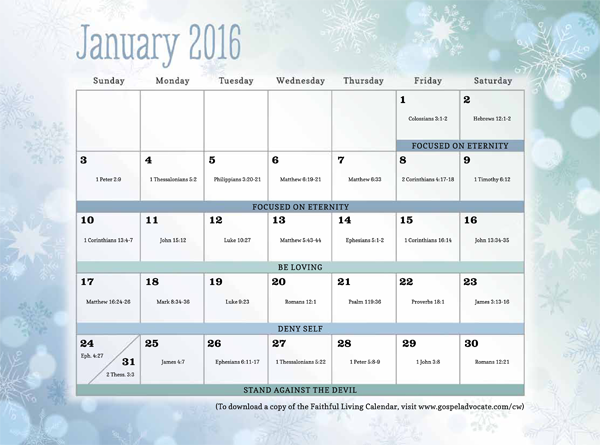 Excerpted from the January/February 2016 issue of Christian Woman Magazine. “Be anxious for nothing, but in everything by prayer and supplication, with thanksgiving, let your requests be made known to God; and the peace of God which surpasses all understanding, will guard your hearts and minds through Christ Jesus” (Philippians 4:6-7 NKJV). Amazing peace is available to us no matter what our circumstances are, but in the midst of our busy lives, do we slow down long enough to feel the peace that God promises to us in the Bible, or do we pray and ask God for help, then keep on worrying about the same situation? There are many different scenarios in life that can make us feel uneasy; as if we must find a way to control our problems by ourselves. Worry, however, can be a sign of a lack of faith and trust that God will see us through the storms of life. Peace that surpasses all understanding is the quiet peacefulness that comes over us whenever we are being still, knowing that He is God (Psalm 46:10). This peace happens when we let go and let God have full control of our lives. God’s desire is for us to obtain that transcending peace, but the peace He offers is conditional. First, we must “be anxious for nothing” (Philippians 4:6). According to the American Heritage dictionary, the definition of “anxious” is to be “uneasy or apprehensive about something uncertain; worried; or causing anxiety or torment.” Although it is human nature to worry when we are going through difficult circumstances with unknown outcomes, we are to strive to trust in God to provide our needs and see us through. When we are constantly worried, our energy is low and our productiveness for Him is hindered. Studies have shown that more than 85 percent of what we worry about never happens. No one has ever changed the final outcome by fretting about it, plus worrying and constantly focusing on what might happen can cause us to become physically ill. Worry can cause us to suffer from headaches, suppression to our immune systems, depression, digestive disorders, and many other ailments, which are often largely due to worry and anxiety. Instead, we need to seek peace and remember that God is always in control. I have spent much of my life feeling anxious about things over which I had no control. I didn’t fully grasp the meaning of “peace of God, which surpasses all understanding” (Philippians 4:7) until one day, while reading the passage in the Bible, I realized that all the years I had spent worrying about things around me and trying to change people or situations, only made me miserable. It is important to be okay with the knowledge that we have no control over anyone except ourselves. Trying to control what another person thinks, feels or does brings on a whole new realm of problems in itself. Situations in my life were so devastating that I could either turn them over to God in prayer or continue to suffer physically because of my anxieties about conditions that I could not control. I realized that when I felt anxious, I was lacking faith that God has the upper hand in my life and would see me through. When I finally turned all of my problems over to God, and stopped trying to control the outcome, an amazing thing happened. I felt such an overwhelming calmness that in the midst of the stresses in my life, I was at peace. I used to pray for certain things to happen, as if I knew what was best for me. Now, I pray for God’s will to be done, and then I truly let it go and let God take it from there. It is exciting to simply be still and wait to see how God will answer my prayers. God knows the ultimate outcome, and His answers are always so much more spectacular and reasonable than anything I can conjure up. Sometimes, situations that we have no control over occur in our lives. Some of us have gone through, or are now going through, the death of a loved one, divorce, illness or disease, handicaps, job loss, devastation from the forces of nature, or any number of other tragedies that happen in life. Peace comes from our understanding that we must put God first in our lives and do His will. We must have faith in God and trust Him to take care of us, regardless of the circumstances. In the Garden of Gethsemane, Jesus was in distress about becoming separated from His father and dying on the cross. He earnestly pleaded with God three times, “O My Father, if it is possible, let this cup pass from Me; nevertheless, not as I will, but as You will” (Matthew 26:39-44). Because of His trust and faith in God, Christ accepted what was to come. Jesus turned all of His anxiety and agony over to His heavenly Father, and found peace. Verse 45 goes on to say that after Jesus prayed, He went to awaken His disciples. Jesus had accepted God’s will and went on with His day, knowing that God was in control of the inevitable prophecy that was soon to be fulfilled. We know from Philippians 4:11 that we are to be content in whatever state we are in. Peace gives us that contentment. 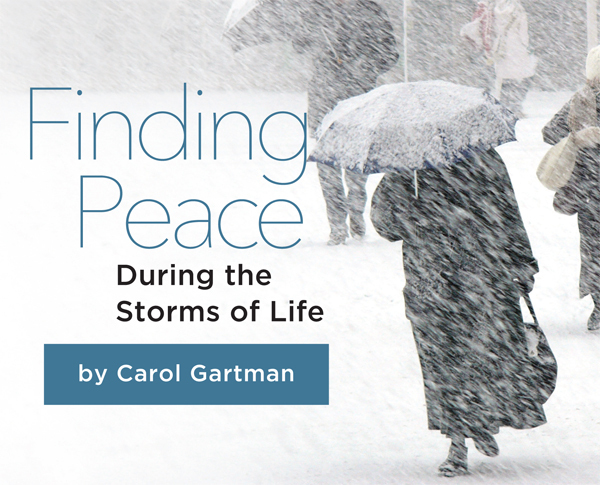 When the storms of life threaten to engulf us, we still need to recognize the unexpected joys in our lives and live in the moment, so that we can experience peace and contentment. My newborn grandson was with his parents when they recently attended a funeral. A woman, who was in mourning, mentioned how wonderful it was to see a little baby because he was a reminder that life goes on. In the midst of her sadness, the woman found joy, which brought peace to her. Joyful moments linger around us each day, if we will just take the time to notice them. They can be so subtle that we will miss them if we are not living in the still state that God talks about in Psalm 46:10. We cannot be happy or radiate God’s light when we are consumed with worry. Philippians 4:8 tells us, “Finally, brethren, whatever things are true, whatever things are noble, whatever things are just, whatever things are pure, whatever things are lovely, whatever things are of good report, if there is any virtue and if there is anything praiseworthy – meditate on these things.” In other words, we are to think about things such as courage, generosity and honor. We are to meditate on things that are just, meaning consistent with what is morally right, suitable and proper in nature. If we are filling our hearts and our minds with things of good report, we are not leaving any room for worry. We are to humbly and earnestly pray about our worries, letting our requests be made known to our heavenly Father (Philippians 4:6). We are also to have thanksgiving in our hearts; to be aware, appreciative and grateful of God’s blessings in our lives. 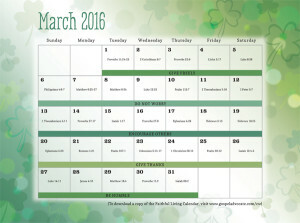 The song, “Count Your Many Blessings,” says to count our many blessings and name them one by one. This is a good way to replace worry. Even in our trials we can find things to be thankful for. 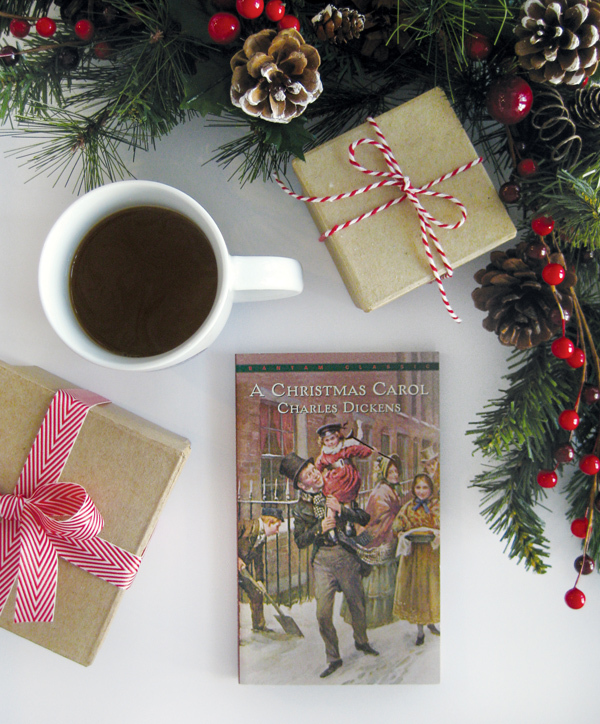 We can be thankful for the sunshine on a bright and sunny day, or the fresh spring rain that makes the flowers bloom, or warm homes on winter mornings. We can praise God for the beautiful world that He created for us to enjoy, for His master artistry which can be seen in all the changing seasons. We can appreciate His tremendous power in the majestic mountain ranges, the ocean’s ebbs and tides, and the vast universe of His creation. Carol Gartman lives in Columbus, Ohio, and is an administrative professional with the Ohio Department of Public Safety. She and her husband, Paul, attend the Fishinger & Kenny Road Church of Christ and work in its teaching program. Together they have 7 children and 10 grandchildren with a new grandchild due in June. 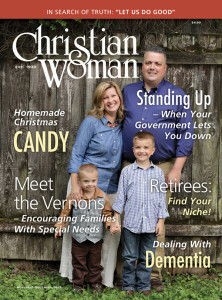 Call 1-800-251-8446 or go here to subscribe to Christian Woman. 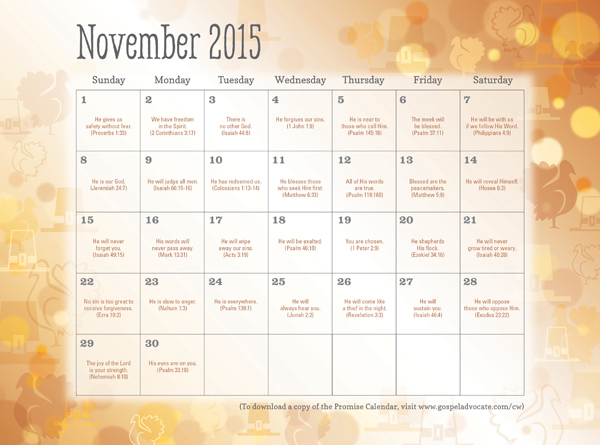 The theme of this year’s calendar is “God’s Promises.” With each issue the two-page color insert will appear on pages 27 and 28, suitable for framing or posting on your refrigerator or near your work station, or you can download the calendar for November and December here. 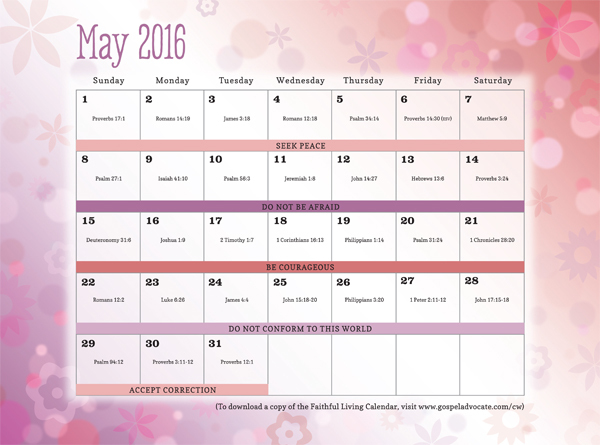 The May/June calendar can be found here. The July/August calendar can be found here. The September/October calendar can be found here.